The five feminists whose detention over a month ago sparked a global protest campaign were released on Monday 13 April. The women’s release represents a significant and rare climb down by the Chinese authorities in the face of mounting global protests. The Washington Post described the release as a “surprise move” and many had indeed feared the worst for these young activists as they were ensnared in the crackdown against protest and expression that has become the hallmark of Xi Jinping’s rule. “In some ways this retreat is the first significant crack in the wall as far as Xi Jinping’s massive campaign of state repression is concerned,” said Vincent Kolo, editor of chinaworker.info. 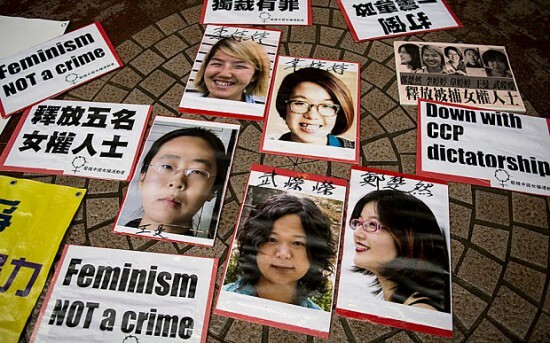 The women – Wang Man, Zheng Churan, Wu Rongrong, Wei Tingting and Li Tingting – now known as the ‘Feminist Five’ were arrested in the run up to International Women’s Day, 8 March, for planning to hand out leaflets against sexual harassment. They were initially charged with the vague crime of “picking quarrels and provoking trouble” which can lead to five years imprisonment. 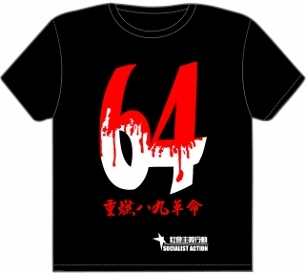 On 11 April, the authorities changed the charge to “illegal assembly”, an indication they were under pressure to cook up a more convincing case against the five. The plight of the five women has been taken up by students and school students around China who have circulated petitions but faced stiff repression and threats from school authorities. Campaign groups for women’s rights and LGBT equality have rallied internationally with protests in many countries. 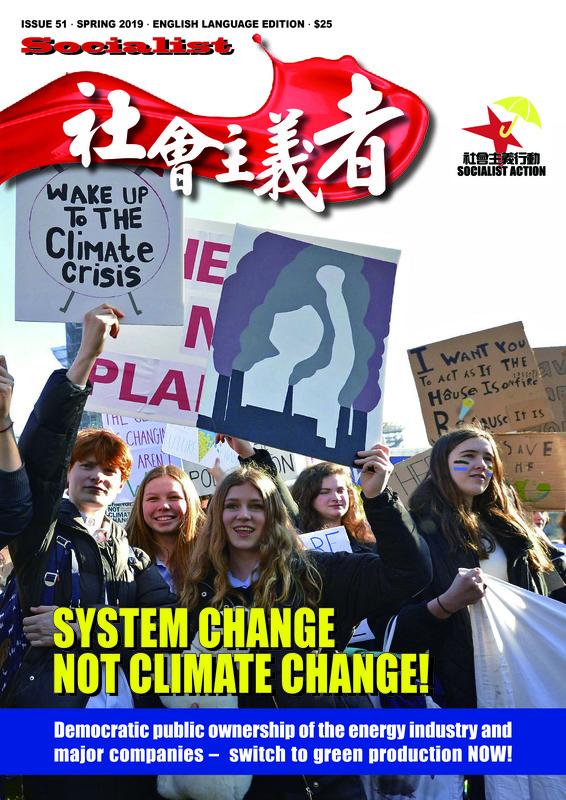 In Hong Kong there have been several protests including an action involving Defend China Feminists Campaign, Socialist Action (CWI) and other groups on 11 April as the deadline for the authorities to press ahead with formal charges approached. At the same time there is anxiety that the charges against the five have not been dropped. They are released on bail pending further investigation – with the risk they could be arrested again especially if the mood of solidarity dissipates. The Chinese regime is known for using a ‘carrot and stick’ tactic to derail protests including workers’ strikes. It makes promises that are later withdrawn or found to be worthless. The five women will be closely monitored and have been served with travel bans. The detention of the five women threw a global spotlight on repression in China, something that foreign governments have generally played down in their eagerness to do business with the Chinese dictatorship. The mood of outrage has come from below – from activists, youth, and the labour movement – with some prominent politicians jumping on board this mood rather than initiating it. The Chinese regime’s standard response that foreign governments should keep out of China’s internal affairs is more difficult to sell to domestic audiences when the criticism comes from the grassroots. Criticism from the US government, with its poor record on democratic rights (Edward Snowden, police shootings of Afro-Americans), is much easier to discredit. Many are now pondering what lies behind the regime’s decision to release the five. This issue threatened to blow up in its face with Xi Jinping’s planned visit to the US in September. Xi is due to address a UN conference on women in New York, an occasion that threatened to attract protests that would be extremely politically damaging for a regime that wants to project its increasing global strength while also selling the idea that it is based on ‘rule of law’. But another factor and perhaps the most important is the effect this case has had inside China in politicising young women in particular. That the feminists who have been treated so harshly were ‘moderate’ critics, some of whom have been involved in helping the authorities to draft new legislation on sexual abuse, has produced a shock effect on social media in China. “This generation grew up in the last 20 and 30 years, most of them not keen on politics. But they are being politicised by this event,” Wang Zheng, a US-based professor, told liberal website ChinaChange.org. chinaworker.info congratulates the five women on their release and hails the protesters around the world who have rallied to their support during the past five weeks. The partial victory recorded today with the release of the five feminists can have important ramifications for future struggles in China against dictatorship, women’s oppression and capitalism, which has thrown women’s rights backwards. This is not a purely Chinese affair but an important part of a global struggle, relying on solidarity and internationalism, to overthrow the patriarchal and undemocratic capitalist system.